Great location in desirable Burnt Hills School District. 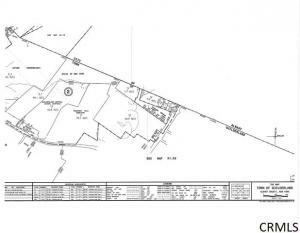 85 acres (subject to survey) with "Hamlet Residential & Business 2" zoning for front portion. Single family, mixed use, all subject to county and state approvals by buyer. 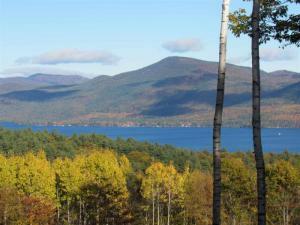 Lake George Lakefront on this 1.04 acre lot with Boathouse and direct view of Lake George. Located within the Still Bay Estates Homeowners Associations Inc. Lake access and beach! 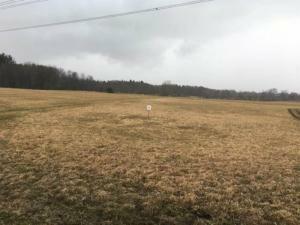 11 Acres Commercial Land. 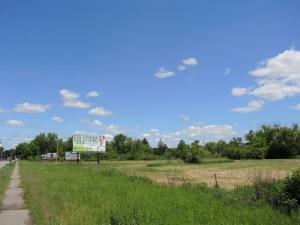 This is across and can come with the largest parcel of commercial C-1 zoned property in Wilton Commercial District. 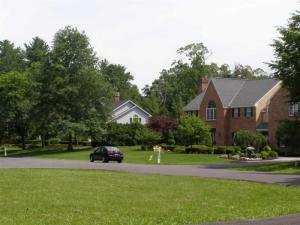 With premium location and convenience, located just off of Exit 15 in Saratoga Springs, NY. This property is perfect for any of the following; enclosed shopping mall, restaurant, retail/wholesale, hospital, automotive, hotel/motel, banks, or indoor/outdoor recreation. Special use permitted for senior living communities. 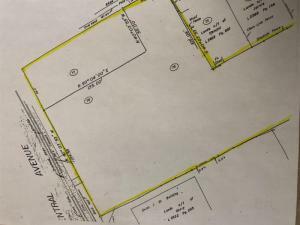 Three parcels; 769 Burdeck Street (tax ID #48.-3-6.1), Princetown Road (tax ID #48.-3-6.2) and Burdeck Street (tax ID 48.-3-6.12), totaling 17.992 acres for sale at $110,000/acre. Lovely property with a tremendous view of downtown Albany. Property has deeded water rights and public sewer is at the bottom of the street. 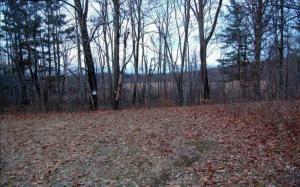 Terrain is flat, sloped, treed and several acres of cleared area. 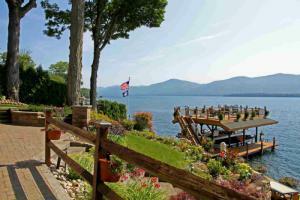 Lake George Lakefront Living! Build your home with lakeside windows to capture the breathtaking southeastern views of the mountains and lake. 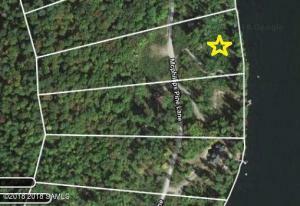 This 0.63 acre direct waterfront parcel is the perfect location to build your dream home. Pre approved building plans and engineering already completed. 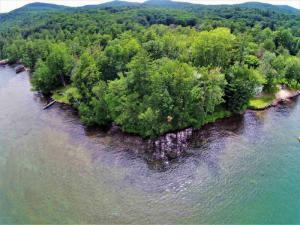 Lakefront 1.18 acre lot has a proposed U-Shaped dock on Lake George (which needs approval). Direct view of Lake George. Located within the Still Bay Estates Homeowners Associations Inc. Lake access and beach! 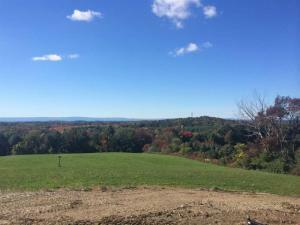 The country road winds you in over the Claverack Creek up into a beautiful field nestled among the trees on this 211 acre parcel in Claverack. Three more fields spot the landscape. Lots could happen here. Continue farming. Hunting. Building your dream home. Easy access to Hudson, Hillsdale, Chatham & Great Barrington. Come take a look. 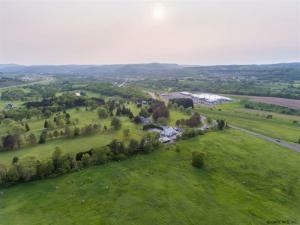 22 prime acres of Saratoga Springs property just seconds from the racetrack, close to downtown, SPAC, Saratoga Lake and the Kayaderosseras Creek. Perfect setting for your equestrian dream home, horse farm, or for a high-end subdivision. Not much in Saratoga Springs left like this. 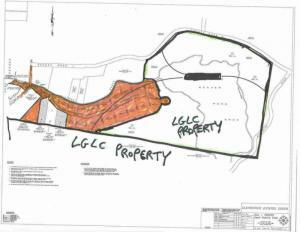 22 Acres subject to subdividing off parcel to remain with single family home. Price Reduction! 30k per lot! Unbelievable price tag! Developers/Investors take action! 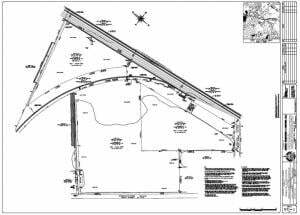 APPROVED BUILDING PLANS on 26.76 acres of water frontage in picturesque Tupper Lake! Builder plans include 49 Townhouses, totaling 13 buildings to be constructed. 49 Dock Slips. Sewer hook up at the road. The townhouses will be located along 1,000 ft stretch of road frontage between Demars Blvd & Raquette Pond. Future homeowners will enjoy 40 miles of navigable water travel. Are you the developer of Oval Wood Lake Shore Townhomes? Let's break ground. 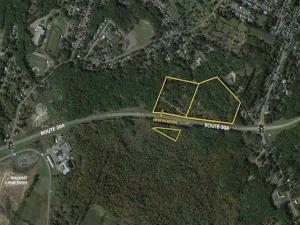 This property offers a fantastic opportunity to develop in Wilton's Hamlet district on Route 9. The busy strip is home to Dunkin Donuts, CVS, a car dealership, Maple Ave Middle School, Adirondack Community College and several banks. Almost fifty additional acres are available behind site that could be used as green space. Utilities are to be brought to the site. Listing agent is related to owner. Contact agent for details. 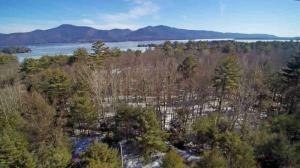 Premium lakefront building lot on Lake George's east side with 174' of gorgeous lake frontage. 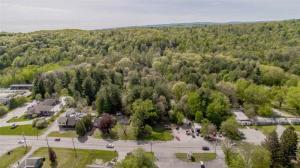 Rare opportunity for a large lot in a serene setting. Two dock complexes, 2.28 acres, and western exposure for incredible sunset views. 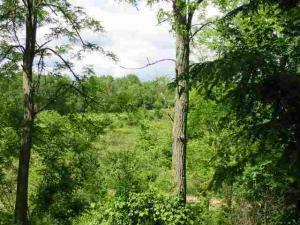 This ideally located, approved lot is ready to be transformed into someone's ultimate dream home. Acreage is approximate. Contact LA for full list of all tax map parcels included. 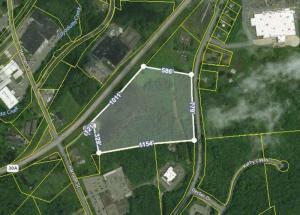 Saratoga County development opportunity in Clifton Park! 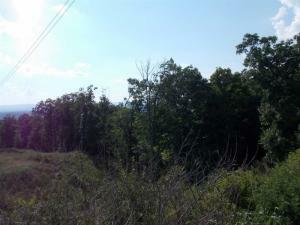 56.56 acres with 1098 feet of frontage on NY 146A. 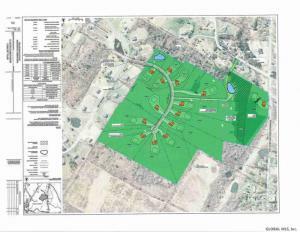 Zoned Conservation Residential, perfect to develop a subdivision of 15 custom homes on 3 acre lots. Surrounded by gorgeous residential neighborhoods, you will have perfect privacy and only minutes to shopping, schools & restaurants. Quick easy access to I87. Many other uses include: agriculture, recreation with bike trails, nature preserve. Municipal water at road. 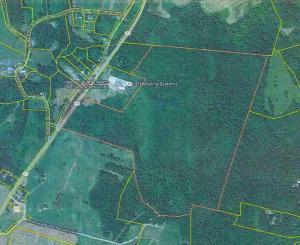 77 Acres of land in Voorheesville, Zoned for manufacturing at end of foundry Road- also has frontage on school road. 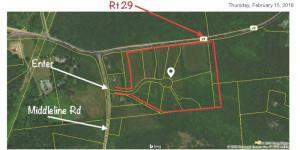 29.34 acres of land available for sale. 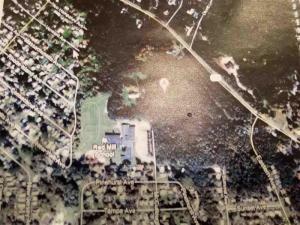 Land located on 30A close to Walmart Supercenter. AADT on intersection of Steele Ave and 30A is 12000. Close to Thruway. Zoned commercial. Ideal location for mixed use, Commercial or Light Industrial. Bring all ideas. Town and County open to all possibilities. Two large parcels, being sold as a package. 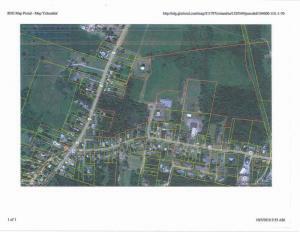 Sellers have engineering for a 164 lot residential subdivision, with public water and sewer available. Contact listing agent for maps and details. 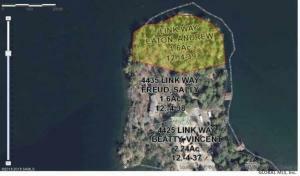 Incredible 1.36 acre lot with shared dock and nice view of Lake George. Located within the Still Bay Estates Homeowners Associations Inc. Lake access and beach! 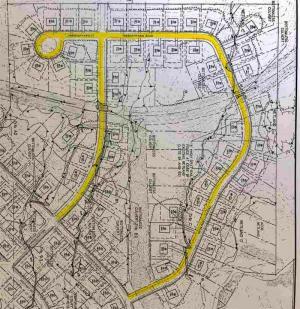 Approved 10-lot subdivision in Saratoga Springs School District. 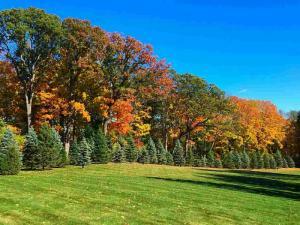 Lot sizes 1.2 acre to 7.6 acres on a picturesque private cul-de-sac on 37+ acres of land with 18 acres of open space just off Middleline Rd. 5.5 miles to Broadway in Saratoga Springs. 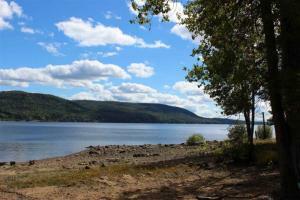 Incredible opportunity to build your dream home on Assembly Point. 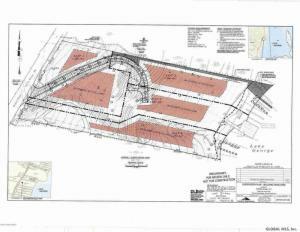 Preliminary approvals for septic in place 1.12 acres of level frontage over looking Harris Bay, sandy swimming in protected bay setting. 117 acres approximately 11 acres zoned industrial with 600' of prime road frontage would subdivide front 15 acres for $650,000 back 102 acres for $300,000, 10 acres with 40,000 SF of Industrial Buildings also available. Listing agent related to owner. OWNER FINANCING AVAILABLE! 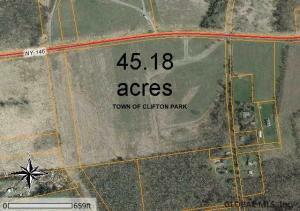 15 Acres of flat level land in Milton. Minutes to Downtown Saratoga, Track and Lake. Many possibilities. Front 2.5 +/- acres are zoned Town Center District. Back 12.5 acres are zoned R1 Residential District. 337 feet of frontage along Rowland St. with 2 other egresses along the side of property onto Red Coach Trail and Burning Pine Dr. Saratoga Springs supplied water to the houses that border back of property. Private Water Company could supply water along Rowland St.
One of a kind property with the ultimate in privacy. Northpoint offers 560 feet of pristine lakefront. Spectacular views in all directions. 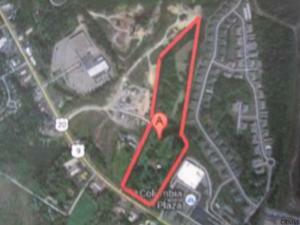 17.84 ACRE DEVELOPMENT SITE ON BUSY COLUMBIA TURNPIKE WITH 350 FOOT OF ROAD FRONTAGE. ZONED B-2 IN THE FRONT AND OI IN THE REAR. 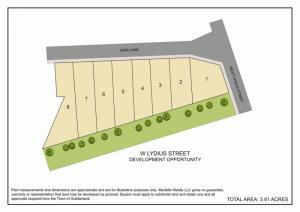 SUBDIVISION POSSIBLE WITH TOWN APPROVAL. NEXT TO FOREST POINT TOWNHOUSES. 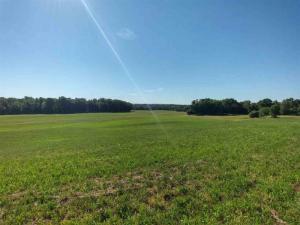 Chatham 185 Acres for Residential Development in walking distance to Chatham Village, village water available. 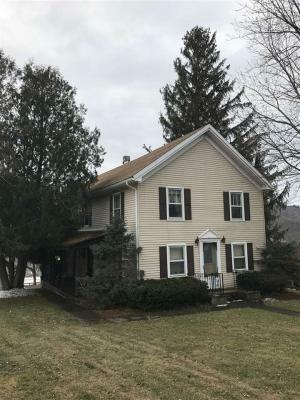 Access via quiet residential street or Route 295, which provides access to the Taconic State Parkway and I-90 for Albany and Pittsfield, MA commutes. Also provides interconnections with the Mass. Turnpike to Boston and the NY S Thruway to New York City. 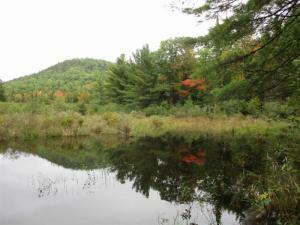 1407 acres with a mile and a half of frontage on the scenic Grasse River. 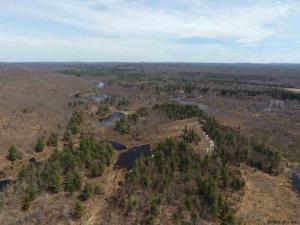 Located just outside the Adirondack Park in the town of Russell, this expansive one of a kind property is ideally suited as a hunting & fishing destination and a smart timber investment. A hunting camp is tucked in off the Boyd Pond Road frontage and accommodates 12-15 people. Don't miss this opportunity to own and enjoy two square miles of solitude, great deer hunting and future timber revenue. 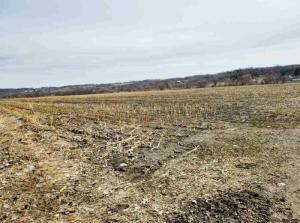 One of the last remaining tracts of comm-zoned land in J'town. Zoning: retail, rest., office, etc. Great Visibility & Access. 1,198' Front. 14,749 VPD. Shovel Ready, Level, Mostly Cleared. 6.5 Ac. Usable, 9.45 Wetlands (report avail). WILL SUBDIVIDE. Sit. along thriving retail / rest. comm. corridor, close to new TJ Maxx, banks, restaurants, Price Chopper, etc. 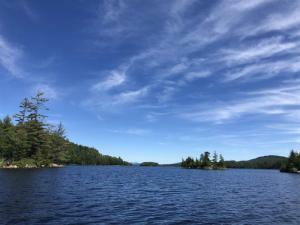 Close to Sacandaga Lake, 5 mi. N. of Thruway, 6 mi. S. of Adk. Park. Incl. sale of adj. parcel (.15 ac): 175-1-62. Agent related to one of owners. 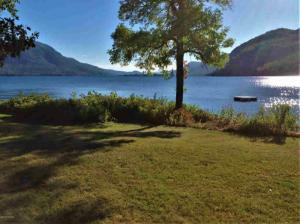 179 feet of lovely Lake George lakefront on one of the most beautiful, peaceful bays on Lake George. . . Cook's Bay in Huletts Landing. The elegant classic boathouse has room for 2 of your favorite boats. 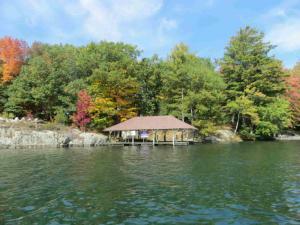 Build your Lake George dream home on this beautiful property! The westerly and southerly views from every room will be breath-taking. There are panoramic views with southern exposure on this level lake front lot. Enjoy sun throughout the entire day while looking at majestic mountains and near by islands flattering the shores of this quiet community.There is sandy bottom swimming, a close proximity to Silver Bay YMCA and the town of Hague. 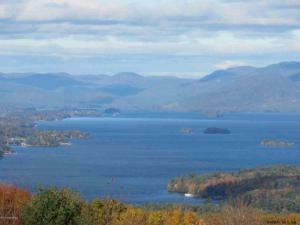 This location is only 30 minutes from Gore Mountain skiing area and close to the border of Vermont and Lake Champlain. 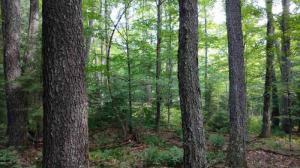 Rarely found 18+ acre lakefront /lakeside wooded parcel on the Great Sacandaga and located within Saratoga County, Lower taxes. 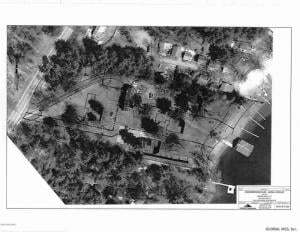 Parcel with 330 Ft HRBRRD permit with bays resulting in a larger linear lake front footage . Potential subdivision. Former restaurant/cabin at road sold as is provides a footprint. Approximately 600 ft of road frontage. Owner financing for qualified buyers. Could possibly be one of the best soils in Palatine! Loam type of soil helps grow the "best" possible crops because it provides the necessary elements. Loams take advantage of the balance of water holding and nutrient availability. They are suited for high demand crops such as vegetables. Located on the river flats. B-5 Corporate Commerce zoning allows for warehouse/storage, light manufacturing, processing/assembly/fabrication, office park, R&D facility, communication services. On busy East West corridor between GE Research and Global Foundries. 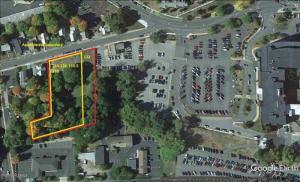 One of the few remaining large undeveloped parcels in the town of Clifton Park with a commercial zoning. Water, sewer and gas at road. Buildable land in prime location. Very private. #1 Bethlehem school district. Includes a duplex (2 bdrm & 3 bdrm) and sm single family home providing $2,900/mo in rental income. Huge barn approx. 2,500 sqft. Could be working farm, equine prop.. etc 33.9A in Town of Scotland; 45.5A in Town of Beth. Public water, sewer & gas at road. 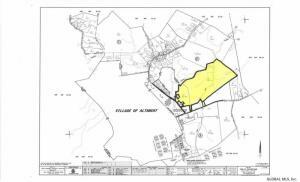 Subject to owner getting approved sub-division.Call Add'l 10 acres available on Middlesex Ct.
3.6 acres just off the Northeast corner of Route 9 and 149 at the gateway to the retail centers outlets. 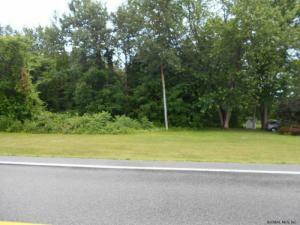 Vacant land zoned highway commercial intensive with 233' of frontage on Route 9 and 388' of frontage on 149. Great opportunity for a business that needs visibility. Survey and archeaological studies available. Development opportunity in established town of Guilderland neighborhood conveniently located just minutes from 890 and I-90 on-ramps. 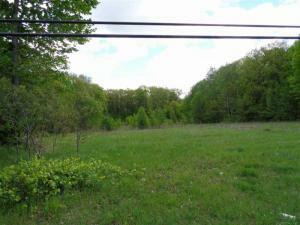 Potential space for up to 8 or 9 building lots on 3.8 acres. 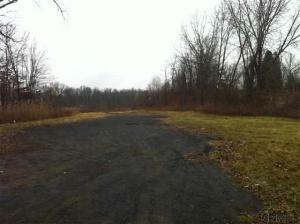 Land is zoned R15 and located in the Guilderland School District. 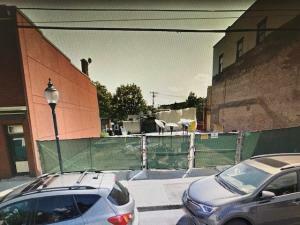 This corner lot has 670 feet of road frontage on Gari Lane, and 115 feet of frontage on West Lydius Street, allowing easy road access for driveways. Public water, sewer, electric and natural gas at property. Plentiful resource of sand on edge of property. Buyers will need subdivision approval. 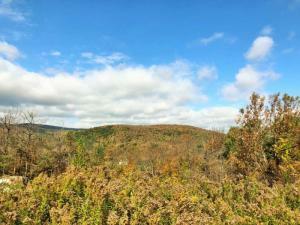 Terrific opportunity just outside Lake George Village, just minutes from exit 22 of I-87, total of 200.07 acres (2 parcels), borders English Brook, Great view spots, LC-50 zoning which allows many uses including Single Family Residential (would provide incredible settings & views! ), Campground, RV Park, Seasonal rentals, an array of Outdoor Recreation business' (cross country skiing, adventure course, etc...), Timber, Sawmill / Woodshop, etc... Call for more info or to walk the property. 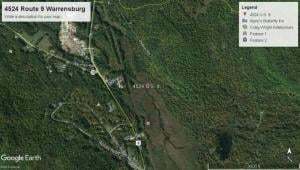 Cobleskill: Prime 20.15 acre building lot. Zoned B2 Commercial. Excellent road visibility. Water, sewer, & natural gas available. 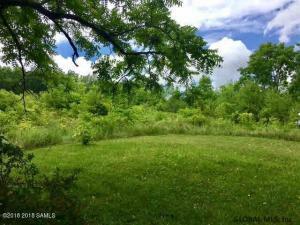 This ideal lot is centrally located between the Capital District and Oneonta. Easy access to I-88. Remarks: 205 TROUT LAKE ROAD - 188.54 ACRES FOR A PRICE OF $636,000. 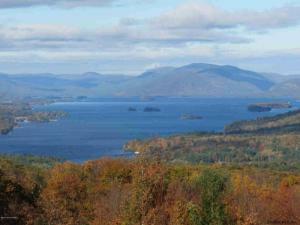 Great views of Trout Lake and partial view of Lake George. Plenty of space for enjoying nature, a place to ride your 4 wheeler or snowmobiles, a place to build your getaway in the quiet of the Adirondacks, the possibilities are endless. This parcel offers all the above plus the advantage of being close to town. restaurants, beaches, shops, and golf course. Easy access off the Northway. 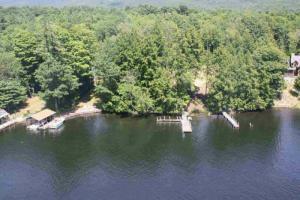 Build your dream home on this waterfront property with 500'+ of lake frontage on the Great Sacandaga Lake. 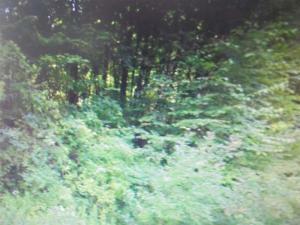 Lot is 9.29 acres with potential subdivision into 3 separate lots. See map for exact location and property details. 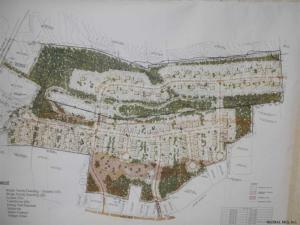 Currently part of larger parcel, with subdivision of 9.29 acres to be completed before closing. 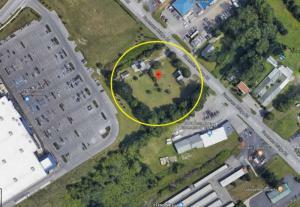 Three lots totaling 25 +/- Acres. Extremely desirable location in area of fine homes. Frontage on both Blueberry Meadows Lane and Palmer Road. Parcels include 178.-4-39.111, 178.-4-39.13, 178.-4-36. 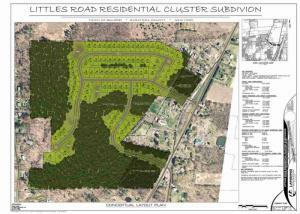 Preliminary work has been done for 17 lot subdivision. Minutes to I-90 and Schodack Center. 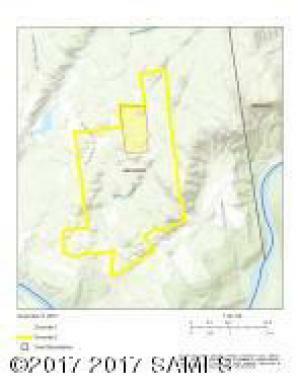 Spectacular mountain property with 300+ acres and over 1 mile wide between 2 town roads. Includes the old railroad bed which is easy to navigate by foot or 4-wheeler.Plenty of trails, some timber ready to be logged, level areas throughout. There are some open fields and electric poles in place on Cty Rte 39 side with 499' of road frontage and 220' of road frontage on Hollenbeck Rd. Excellent hunting and recreation property or sub-divide some parcels off for building sites. 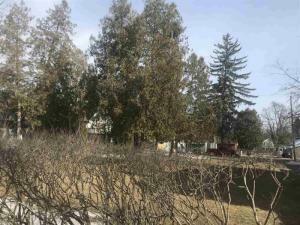 Fully Approved Residential Home site across the street from Saratoga Race Course. Variances have been approved for home and garage/carriage house! Architectural plans have been approved by Design Review Commission. Shovel ready site in Downtown Saratoga Springs! 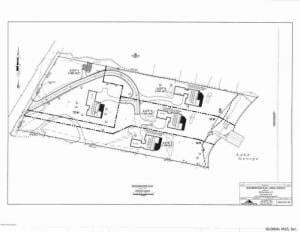 Approved 5-lot subdivision on waterfront property (Cummings Pond). 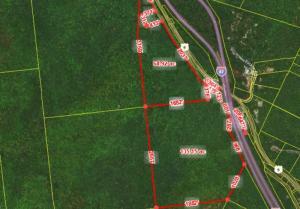 Lots ranging in size from 9.41 acre to 37.39 acres. 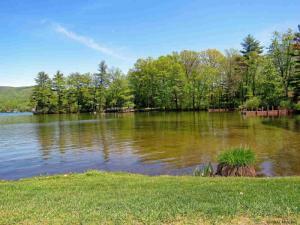 Nestled in a partially wooded area and on flat, easily accessed land is this serene lakefront lot. The last lot left on beautiful Jenkins Point w/ 120' of panoramic, sandy bottomed shoreline including a beach area for swimming. 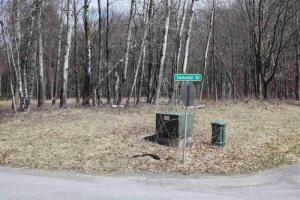 A quiet spot, this lot is located 1000 ft off of 9N on a private road. There will be newly constructed homes on either side. Utilities on site are underground power, town sewer, cable, and phone service. 30 minutes to Gore Mt skiing. 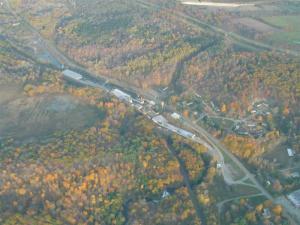 Silver Bay YMCA and the hamlet of Hague within minutes by car. Bolton Landing is only 20 minutes south. 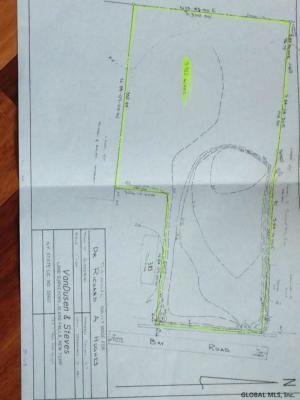 Approved 5 lot waterfront subdivision. 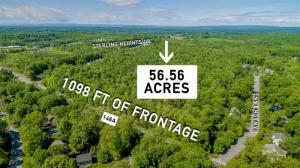 Total acreage 80.146 consisting of approved subdivision of 5 lots ranging in size from 9.41 to 37.39 acres on Cummings Pond in Galway in Saratoga County. 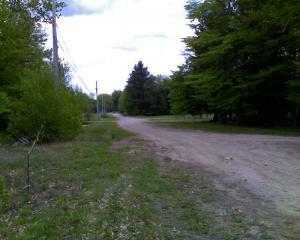 Over 80 acres offers privacy on large waterfront lots ideal for the homebuilder or investor in property. 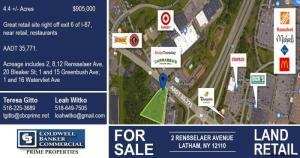 This is an incredible opportunity on the main thoroughfare between Schenectady & points west & a feeder for RT 50 from Saratoga County. Conveniently minutes to all the development surrounding the casino & the bevy of hotels being built. Price Chopper HQ. List of uses available in docs, zoned gen bus with a variety of commercial uses to serve commercial and residential needs. Currently there exist older homes on property. Great traffic counts & visibility. 248' frontage. High profile commercial location. 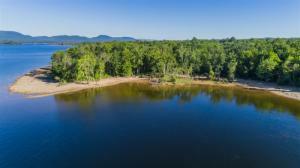 This listing is 27.5 acres of PRIVATE lakefront property! Drive down a half a mile long driveway to find 300 feet of pristine shoreline protected by 2 jetties. Stunning views and sunsets can be seen from this private beach. The property is bordered on the north by a large tract of state land, ensuring that nothing will ever be built on that "Forever Wild" side. Build your dream home or several dwellings for family. This price of this unique property has been drastically reduced. Motivated sellers! 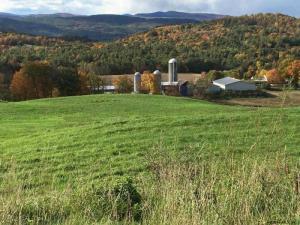 Ancram Farm Estate 57 Acres, Long Drive to Building Site, Barns 12502. Great privacy, mixture of open fields with stream, large old barn with 4 garages and 3 horse stalls, new 3 bay garage with 1200 SF for living space, gravel. Also available with additional 90 acres, including 1700's eyebrow colonial, part of the original Livingston Estate for $1,100,000. Also owner will consider other configurations. 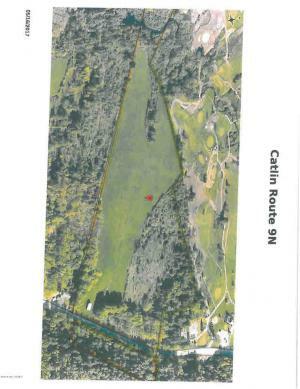 Friends Lake building parcel at McPhillips Woods with 5 acres and approx. 300' of private shoreline. 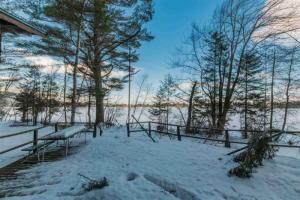 Prime frontage on a pristine lake within the Adirondack Park. Several great building locations, beautiful wooded shoreline. Five miles to Chestertown, 15 mins. to Gore Mountain Ski Area, 50 mins. to Saratoga! 59.82 acres of vacant land which had been approved for 88 Senior apartments in 2009 (approvals now expired). 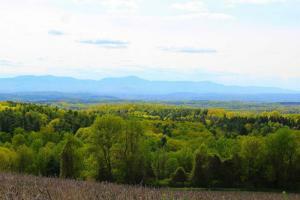 Great views of Hudson Valley, potential for further development. 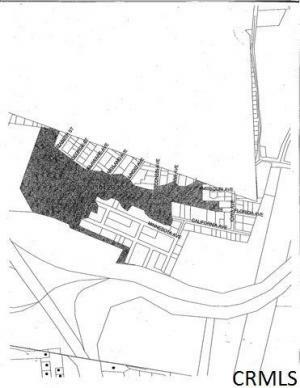 Copy of site plan layout and engineering available. Water, sewer and gas are on Ridge Rd but will need to be brought to the site. 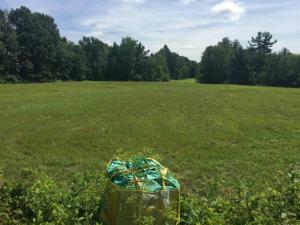 Mostly level vacant farmland located adjacent to the Ticonderoga Country Club golf course. Could be developed into residential building lots. Over 900 feet road frontage. 618 ft frontage on Delaware Ave. prime Delmar location. City water, sewer, gas, electric and fiber optics all on property. Land borders 2 residential neighborhoods and commercial buildings bordering frontage on Delaware Ave. Creative possibilities. A great find! 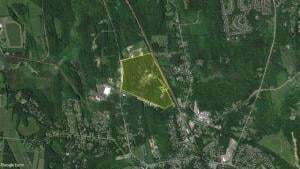 CHOICE LAND IN HEART OF RENSSELAER COUNTY JUST OFF INTERSTATE 90. 8 MINUTES FROM DOWNTOWN ALBANY. BEAUTIFUL SECLUDED PROPERTY, PERFECT FOR CLUSTER HOUSING OR SPECIAL NEED HOUSING. SERENE YET CENTRAL. Approved for 51 condos//apartments. All approvals, plot plans and surveys done. These will be located on a hill with gorgeous views. Surrounded by custom built brand new homes. 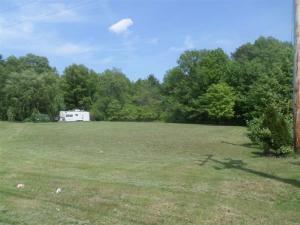 A quiet, peaceful country setting adjacent to a town park and nearby stream/waterfall. Minutes to Global Foundries, Albany, Troy and Saratoga. 35 Acres of vacant land. Great location, close to Albany and all interstates. Property is treed, level & wooded. Rolling land with 2 streams cutting through it. On the back of a 26 lot subdivision. 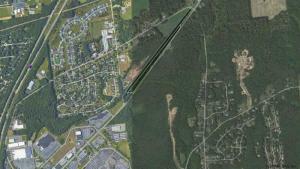 2 road accessed planned for future extension of subdivision. Owner financing available with significant down payment. Listing agent related to owner. OWNER FINANCING AVAILABLE! 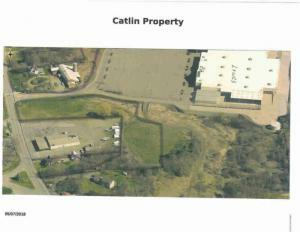 Prime Property to develop in the route 9 Corridor. Front part is zoned Hamlet, Back Residential. Town is amenable to Cluster Development. 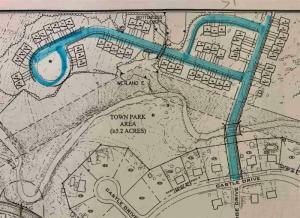 Water and sewer linesw run thru property, second access was paved to town spec and properly sized water and sewer lines were brought in for future build out when parcel was subdivided off. Owner Financing is Available. Agent is an owner. DEVELOPMENT OPPORTUNITY AVAILABLE! 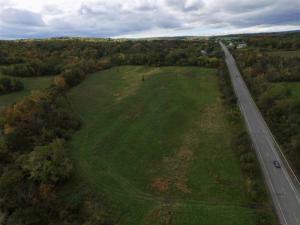 20 acre parcel located directly across the street form the Gloversville Walmart Super Center. Water and sewer have been brought to the site. Additional property may be available. Tremendous viability and 15,000+ per day traffic count. Listing Courtesy of: Yankee Realty, Inc. 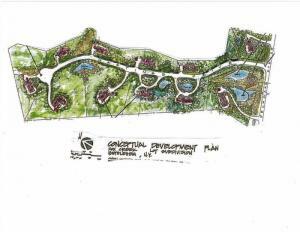 Preliminary approval for an upscale 14 lot wooded residential subdivision off Maura La. ( off Spring Rd ). 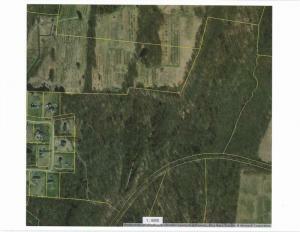 Lots range from 1-5.5 acres, all with public water and septic. Final approval and owner financing Avail. OWNER FINANCED MORTGAGE OPTION AVAILABLE! Minutes away from Bolton Landing. This is an extremely rare opportunity in Bolton. Hike, hunt, climb, and snowshoe your own mountain. Many additional contiguous acres may be accessed that are proposed not to be developed for addition privacy. 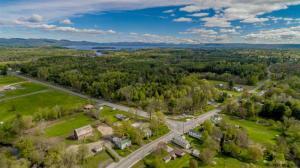 It is seldom you see a 22 plus acre parcel available in the beautiful Town of Bolton with wonderful views of Lake George. Private and peaceful location off of Lake Shore Drive. This tract is not miles from Lake George. 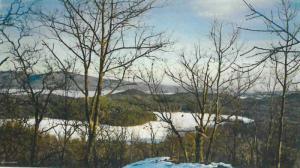 It possesses up close and personal vista views for your new vacation cabin or home. Wildlife is in abundance. Electricity is available on Powers Court.This is the true Adirondack experience. Hike, snowshoe, or hunt in your own back yard. 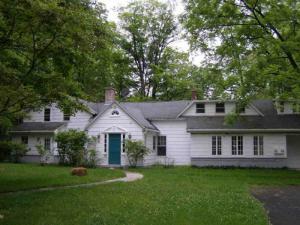 Large country property, ideally situated 3 hr drive from Downtown Manhattan in the Catskill Mtns . 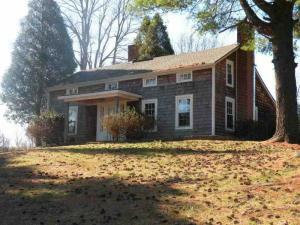 Equine property w/5 bd, 5 bath, & 2 kitchens. Former owner bred & raised thoroughbred horses on this lovely 270 +/- acre estate. 12 (+) stall barn, nearly 85 acres of pasture & fields, pond, fencing situated w/ valley views. Rolling topography & a care takers home off the rd, & addl. barn on site. Land & area is well known for hunting, fishing & snowmobiling. Could use updating, but this is a fantastic find! 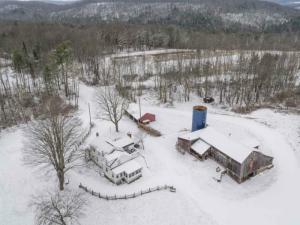 It is across the street from the main farm house, large barn and several outbuildings, and would be perfect for equestrian or equine uses as well. Close to all the capital’s great schools, the area’s amenities and activities, and major transit at the Albany Airport, Thruway and train station in Schenectady. Prime mixed use development site. Cleared and ready for development approvals. This sale is contingent upon the purchaser also buying 64% of 132 South Street for an additional $79,872 . 3 acres of cleared commercial land in a visible location abutting the entrance road to a former Lowes 124,000 SF retail store. High traffic area on Route 9N right at a traffic light. Public sewer & water at the road. 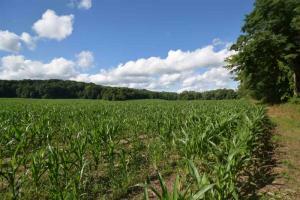 Beautiful rolling land perfect for home development. Zone: one house per two acres. 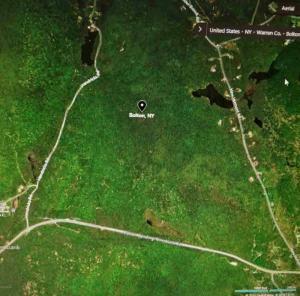 73 +/- acres with approx 1100 feet frontage. 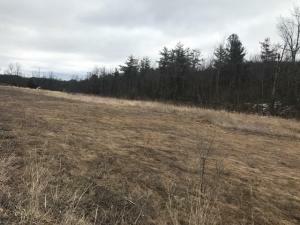 75.01 acres in the heart of East Greenbush off exit 9 off I90 . 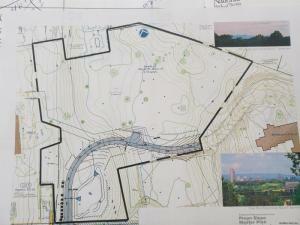 Per the tax map over 209 ft. of road frontage on the Tempel ln across from the new Regeneron building. 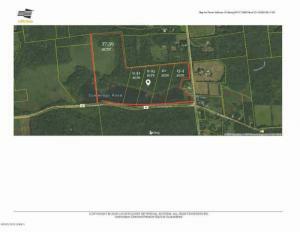 The listing could be combined with the additional 41.71 acres on 45-50 Olcott ln that is right next to 00 Tempel and has access to Olcott ln. Large vacant parcel [survey says 3.922]. Zoned Commercial Intensive. MANY allowed uses.This parcel is generally higher than surrounding parcels.